October 28, 2014 by Ken Ward Jr. Underground waters flooded a section of a coal mine in southern Turkey on Tuesday, trapping at least 18 workers, officials and reports said — an event likely to raise even more concerns about the nation’s poor workplace safety standards. 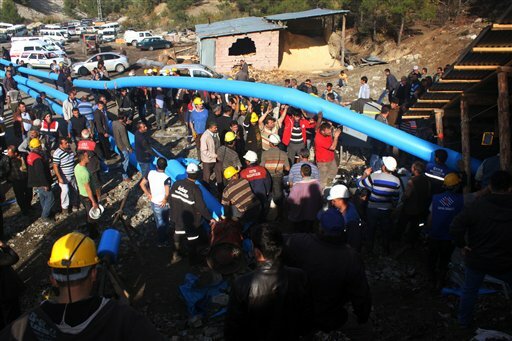 Initial reports said flooding inside the Has Sekerler mine near the town of Ermenek in Karaman province caused a cave-in, but subsequent reports said the workers were trapped by the surging waters. It was not immediately clear what caused the flooding. Sahin Uyar, an official at the privately owned coal mine, told private NTV television that the miners were stuck more than 300 meters (330 yards) underground. “At the moment, 18 of our colleagues are trapped. We are working to pump water out from three sections of the mine,” he told NTV, adding that rescue crews had made no contact with the miners. Uyar said the trapped workers’ chances of survival were slim unless they had managed to reach a safety gallery. Turkey’s ministers for energy and transportation immediately left Ankara, the capital, to oversee the rescue operation. 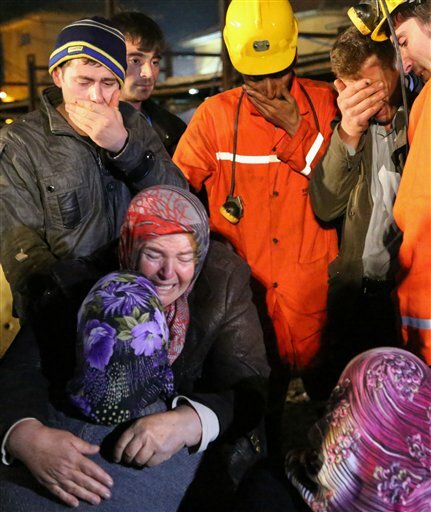 In May, a fire inside a coal mine in the western town of Soma killed 301 miners in Turkey’s worst mining disaster. The fire exposed poor safety standards and superficial government inspections in many of the country’s mines. July 3, 2014 by Ken Ward Jr.
After mining coal for almost 40 years, Robert Schultz hoped his pension would let him and his wife spend more time at the beach in retirement. Then Schultz, a fifth-generation coal miner who retired about six years ago, got a letter from the U.S. Labor Department telling him that his pension was in financial trouble and benefits may need to be cut. “We’re talking about people not getting what they need,” said Schultz, 61, of Boone County, West Virginia. A surge in overseas demand that has raised coal’s outlook in the short run hasn’t stemmed long-run job losses, which could worsen with proposed U.S. limits on power-plant emissions. Competition from non-union operators has made matters worse, cutting employer contributions to the main pension plan for union miners and drawing a “seriously endangered” rating from pension regulators, raising the prospect of a government rescue. The United Mine Workers of America plan, along with the fund for the International Brotherhood of Teamsters, dominate the pool of underfunded plans. Should either fail, the Pension Benefit Guaranty Corp., the government-run agency that backs employee pension plans, may be forced to step in, according to Randy Defrehn, executive director of the National Coordinating Committee of Multiemployer Plans, a group that advocates for pension operators. “At that point you’d have several hundred thousand pensioners whose benefits just go away and I can’t imagine that they won’t be knocking at Congress’s door,” Defrehn said. Congress is already reviewing legislation to help pension plans. The U.S. has lost more coal jobs since 1978 than it has today, and climate policy isn’t the reason. There wasn’t any. Coal companies are in the business of producing coal, not jobs. Between 1978, when the U.S. Mine Safety and Health Administration started collecting data, and 2013, the U.S. shed more than 132,000 coal jobs, or nearly 52 percent of its workforce, according to MSHA data. In the same period, U.S. coal production jumped almost 47 percent, to about 984 million short tons last year, 16 percent below its 2008 peak. 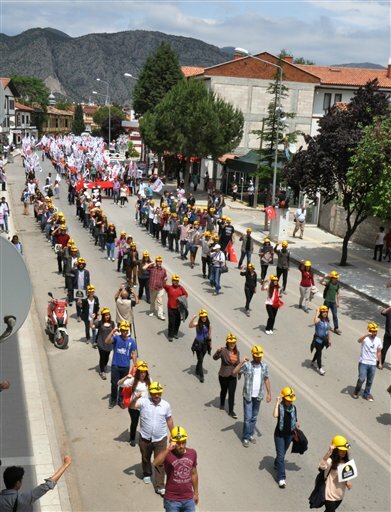 May 23, 2014 by Ken Ward Jr.
As Turkish mines and safety codes come under the spotlight after the May 13 Soma disaster, which claimed 301 lives, miners around the country are also suffering in illegal mines that put thousands of lives at risk every day. 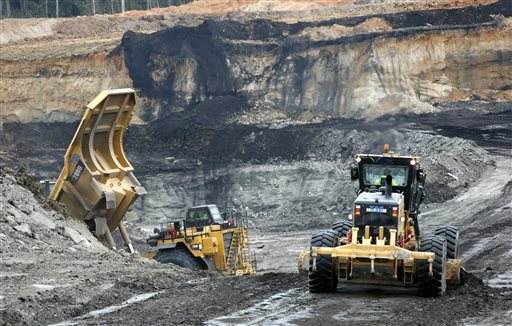 Illegal coal mines, where some unregistered businesses make money due to the low prices they can offer, are quite frequent in the Black Sea province of Zonguldak. Women, even children aged 15 or 16 work in the primitive facilities, where conditions are much worse than those of 9,500 working at Turkish Hard Coal Authority (TTK) facilities or 4,500 others at private mines in the region. A total of 114 people have been killed in accidents at these illegal mines since 1992. Coal is Turkey’s most exploited indigenous source of energy. Since Erdoğan’s Justice and Development Party (A.K.P.) first came into power, in 2002, it has been a cornerstone of their breakneck development. Umud Dalgıç, a sociologist with the Heinrich Boll Foundation, in Istanbul, said that the government sees coal as “essential for the growth of the country.” Coal, he argued, has come to symbolize the A.K.P.’s relationship with “average” Turks—whether that be miners who have found jobs in places like Soma and Kozlu, or poorer citizens who need cheap fuel to heat their homes. 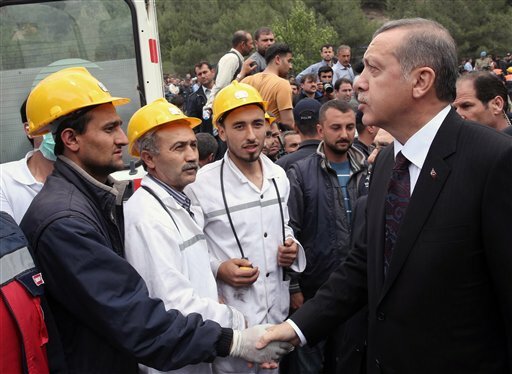 Working-class voters, like the miners, are essential to the popularity of Erdoğan and the A.K.P. During campaigns, Dalgıç added, some A.K.P. politicians have been known to hand out coal to the party’s supporters, along with food staples. In Istanbul, protesters gathered in front of the offices of Soma Holding, and on Wednesday night, large crowds flocked to Taksim Square, animated by the same discontent that fuelled last summer’s protests in Gezi Park—anger at rapid development, at corruption in the government’s dealings with corporations, and at its apparent disregard for the well-being of Turkish citizens. But Istanbul can often feel far removed from the rest of the country, and even larger tragedies, like the earthquake that struck eastern Turkey in 2011, may quickly fade from memory here. With a few months remaining before presidential elections, the A.K.P. will be hoping that this disaster is quickly forgotten. 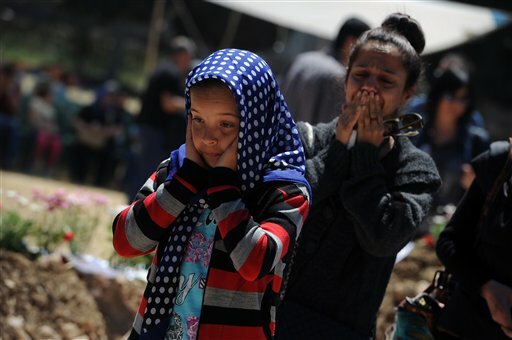 May 16, 2014 by Ken Ward Jr.
SOMA, Turkey — As grieving families prepared to bury more of the dead from Turkey’s worst mine disaster, the country’s energy minister said on Friday that up to 18 people were still missing and that the death toll could exceed 300. An explosion on Tuesday in a coal mine near Soma, a town in western Turkey, ignited a blaze producing noxious fumes that choked hundreds of miners to death as they were changing shifts. By Friday, the death toll stood at 284, but the energy minister, Taner Yildiz, said in televised remarks to reporters that the final count was unlikely to be more than 302. The “Work Accidents in Mines” report prepared by the Chamber of Architects and Engineers’ (TMMOB) in 2010 gave notice of the dangers in the mine, warned against the potential disasters and set out solution suggestions. However, none of the issues pointed to were heeded, heading for an inevitable fall. The 152-page report says the coal at the Soma basin has a high level of methane, which makes the mine intolerant to any mistakes. “No production should be made before the necessary research has been completed. Carrying out production with the lack of experience might lead to disaster,” the report warns. The report draws attention to the lack of any alternative routes for breathing or escaping, which made the rescue of the workers almost impossible in case of an accident. “The ventilation in the mine pit is adversely affected since workers can’t be evacuated from the mine urgently and safely,” says the report that explains the dangers in details. Daniel Lambka was a 20-year-old graduate of Southern High School who loved deer hunting and mudding aboard his dirt bike. Arthur “D.J.” Gelentser, 24, “an avid outdoorsman,” also played basketball and performed with his church’s drama team. Timothy Memmer, 41, was a union millwright who would “ride his Harley whenever he could.” And Eric Legg, 48, and Gary Hensley, 46, hunted and fished in the hills of West Virginia. Together, they are the first five fatal victims of coal mining accidents this year. Legg and Hensley, claimed inside Brody Mine No. 1 in West Virginia, were the most recent: trapped and killed when the roof of the mine tumbled onto them as they performed an especially risky mining procedure Monday night. Yet Legg and Hensley’s deaths – and those of countless others – could have been avoided, experts say. 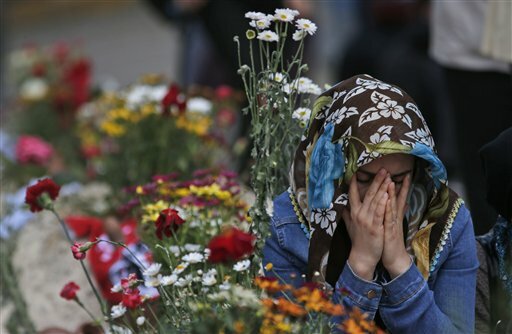 May 15, 2014 by Ken Ward Jr.
As the death toll from Turkey’s worst mining accident rose on Thursday, labor leaders called for a one-day strike, adding to the growing political challenges facing the government of Prime Minister Recep Tayyip Erdogan over its handling of the disaster. 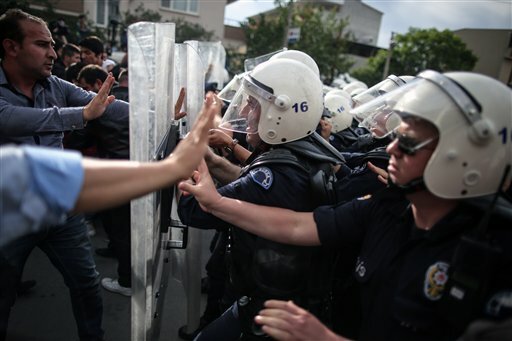 Demonstrations broke out on Wednesday in Ankara, the capital, and in Istanbul, as public displeasure surfaced. Rescue workers, meanwhile, struggled to locate scores of coal miners still unaccounted for after an explosion ignited underground fires a day earlier. Late on Wednesday, the official death toll was put at 274 but it increased to 282 on Thursday when eight more bodies were recovered. As ambulances took away an increasing number of bodies, some of the bereaved wailed uncontrollably and were carried away by their families. Nearly 450 workers have been rescued, according to the mine operator. However, no survivors have been found in the last few hours. Mr Erdogan said 80 of those rescued had been treated for injuries, none of which were serious. Nineteen of these had already been discharged from hospital. The BBC’s James Reynolds in Soma says family members of missing miners are gathered at the hospital. They told him they would not move from there until they got information about their loved ones. Opponents blamed Prime Minister Tayyip Erdogan’s (right) government for privatizing the country’s mines and ignoring repeated warnings about their safety. “We as a nation of 77 million are experiencing a very great pain,” Erdogan told a news conference after visiting the site. But he appeared to turn defensive when asked whether sufficient precautions had been in place at the mine. Today, four families were shaken by the unexpected but always present danger associated with mining. While we strive to ensure the safety of our coal miners, accidents do occur. Joanne and I pray for the miners and their families. We ask all West Virginians to do the same. But as I read these accounts, all that I can really focus on is how needless all of this death and suffering really is. As we mentioned yesterday, coal-mining disasters are preventable. We’ve known for decades what causes them and what steps can be taken to stop them from happening. Even the slow horror of one-by-one coal-mining deaths in roof falls or machinery accidents can be prevented. So why don’t we put an end to coal-mining deaths and disasters? Over at NPR, Howard Berkes spent some time on that question, in a piece headlined Past Disasters Haunt Modern-Day Coal Mining Accidents. It enhances productivity by keeping the production in operation, but what it does is double the number of people at risk. As I continue to catch up on things after the holidays, this roundup will run through some stories that we missed over the last two weeks. First, it’s worth taking a look at this piece from Darren Epps at SNL Financial, which provides his version of the top coal-related stories of the year we’ve just ended. 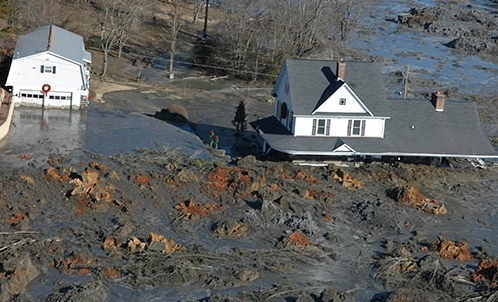 Witnesses still recall with horror the sights, sounds and smells of the Tennessee Valley Authority’s power plant disaster here five years ago, when a mountain of toxic coal ash broke loose in the middle of a frozen night to bury hundreds of acres and devastate a community. … The catastrophic slide also sparked a national debate that’s still unresolved over how to manage one of the nation’s largest sources of industrial waste — which contains arsenic, lead, mercury and other metals that can contaminate groundwater, lakes and rivers, and cause cancer and other health and environmental problems. After the Kingston disaster, newly appointed Environmental Protection Agency Administrator Lisa Jackson, who has since left her post, promised the nation’s first federal regulations to ensure environmentally safe and structurally sound coal-burning waste storage.But, so far, the EPA has failed to enact a single regulation — even as the agency has documented an increasing number of ash sites that have polluted the environment. Before the TVA disaster, EPA didn’t even know for sure how many ash landfills and ash ponds existed. It counted 618 landfills and ponds in 2000, but after the spill, a detailed survey found more than 1,000 ponds and 437 landfills containing coal ash. December 20, 2013 by Ken Ward Jr.
February 11 An explosion in a coal mine in northern Russia kills at least 17 miners in a shaft saturated with methane gas. Rescue workers said 23 people had been in the shaft at the time. The blast occurred about 2,500 feet underground. February 14: A landslide hits the Phillippines’ largest open coal mining pit, burying at least 13 workers and killing at least 7. The accident was the third to occur in mining sites in the country over the last six months. February 19: A large rock cliff collapses on top of a coal mine in southern China, burying and killing five people, including two children. An estimated 5,000 cubic metres of rock fell on Yudong village in Kaili, in the country’s Guizhou province. 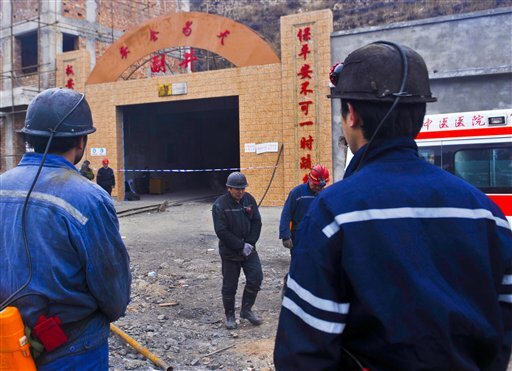 March 29 and April 1: The Babao Coal mine explosions kill 53 people in China. The coal mine company responsible, Tonghua Mining (Group) Co. Ltd., was later found to have concealed the death toll in the incidents, additionally concealing deaths of six workers in five accidents in 2012. Environmentalists fear that approval for one of the world’s largest coal ports and an associated dredging operation to create a ‘shipping super-highway’ will cause severe damage to Australia’s Great Barrier Reef. The reef, which stretches 1,400 miles along Australia’s east coast – roughly equivalent to the distance between New York City and Havana, Cuba – is the source of frequent tension between conservationists and business interests. This week Australia approved the expansion of an existing coal port at Abbot Point near the town of Bowen in northern Queensland to handle projected exports from the Galilee Basin, an inland geological depression thought to hold vast coal reserves but where development has been hampered by lack of export infrastructure. A blast at a coal mine in China’s far-west Xinjiang province killed 21 people on Friday, state agency Xinhua said. The gas explosion initially trapped 34 workers at the Baiyanggou coal mine. Thirteen were rescued by Friday afternoon while the rest had died, the agency said, adding that investigations were under way. Although the toll from accidents has fallen, China’s coal mines are the deadliest in the world because of poor safety and the rush to feed energy demand from the world’s second-largest economy. Following the explosion, a great deal of controversy arose around whether state and federal mine inspectors had done their jobs, especially with regard to whether or not inspectors had been physically going into the mine to inspect mine ventilation, safety equipment, coal dust accumulation, and rock dust application. I had always heard rumors that inspectors would just sit out in the office trailer of the mine site, shooting the breeze with mine managers, and in some cases, even accepting “gifts” from small coal company operators. For once, it appeared that the defunct system of mine safety regulation would be seen for what it truly was, and, maybe, just maybe, the system would be fixed. With the idea that many mine inspectors and mine officials were facing time in prison due to their failures to uphold mine safety laws, many people speculated that they scrambled to find ways to clear their names, or at least lessen the backlash they would receive for their failures to protect the lives of eight men–men whose families would never recover from the loss of their loved ones. December 6, 2013 by Ken Ward Jr.
… If you ask Daniel Kammen, it’s a goal within reach. He’s a professor of energy and nuclear engineering at the Energy and Resources Group at Cal, and has an office just down the hill from Wolfram’s. “China already has a carbon price; the U.S. does not,” Kammen points out, arguing that the world’s largest emitter isn’t ignoring climate change. That price is paid, one way or another, by companies that emit carbon dioxide. It’s a relatively small amount of money — not nearly enough to stop the rapid increase in emissions from China. 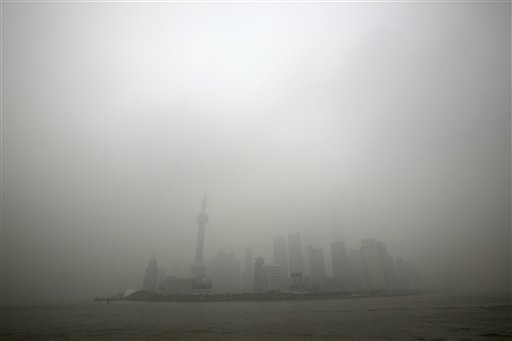 But China has other motivations to reduce emissions — starting with its toxic air. Those technologies are still dwarfed by fossil fuels, but China is at least positioned for a transition, Kammen says. Across San Francisco Bay, Stanford University’s Sally Benson also sees a rationale for cleaning up U.S. emissions, even as China and other countries are making the problem worse. “Certainly you do it for the good of the world, but you also do it for risk management,” says Benson, who directs the Global Climate and Energy Project at Stanford. Benson is referring to both economic and physical risk. Finally, we posed the question to Chris Field, an environmental biologist who directs the Carnegie Institution for Science’s Department of Global Ecology, also on the Stanford campus. 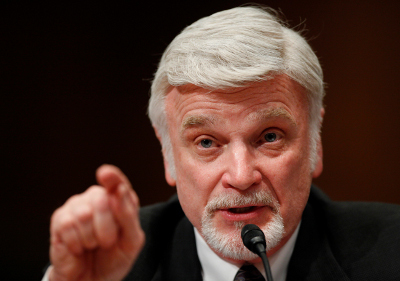 Field argues that the United States can find ways to act that aren’t simply unilateral. If the U.S. gets the structure right, its strategy could actually shape what happens in the rest of the world, he says. For example, the price of a product should reflect its environmental cost, Field says. That way, any buyer would help pay for the small incremental damage caused by the carbon dioxide that ended up in the atmosphere when the product was made. The U.S. could impose this price unilaterally on domestic products. If China doesn’t also add that to the price of, say, an iPhone made in China, the U.S. could add the carbon fee with a tax at the border — and that money would go into the U.S. Treasury. But Field also makes a more philosophical argument, one based on doing the right thing. December 2, 2013 by Ken Ward Jr. Since he was laid off from his mining job in January, William Hensley’s life has been upended. Days after he lost his position, Mr. Hensley, 50 years old, said he was diagnosed with black lung disease. The bank soon took back his 2012 Chevy Suburban, after he was unable to make the $600 monthly payments. He can no longer afford health insurance and has drawn down all but $5,000 he had in a 401(k) retirement plan to pay for another vehicle and living expenses. Mr. Hensley, who is raising his 12-year-old granddaughter with his wife, went from making $82,000 a year as an underground foreman to collecting about $15,000 in unemployment benefits this year. But that aid is set to run out in December and mining jobs are scarce. “This is the worst I’ve ever seen it,” said Mr. Hensley, who has spent 32 years of his life mining coal. Unprecedented pressures on the U.S. coal industry and nearly two years of mine closures and layoffs are reshaping the heart of the Central Appalachian coalfields in ways that many experts believe could be permanent. While the coal industry overall is losing market share to abundant natural gas, mines in Central Appalachia have become increasingly uneconomical. Natural gas is cheaper, and so is coal mined in two other big coal basins centered in Wyoming and Illinois. A Wall Street Journal analysis of Mine Safety and Health Administration data reveals that the picture is bleakest across a swath of 26 counties in Kentucky’s eastern coalfields, where coal has been the lifeblood for more than a century. The number of coal-mining and related jobs in the region remained fairly steady between 2000 through 2011, fluctuating from one quarter to the next by an average of about 400 jobs, but never dipping below 11,400. Since 2011, the area has seen an unrelenting decline that left eastern Kentucky with just 8,000 mining jobs in the second quarter of this year. State officials say there are now fewer miners working in Kentucky than any other time in records dating to the 1920s—a decline largely driven by the eastern slice of the state. Good for Kris and Tom for using the much more helpful data, which most local media here — and certainly local political leaders and government agencies in West Virginia — refuse for some reason to recognize as a better source for tracking both the short-term and long-term changes in mining jobs, coal production and other such things. 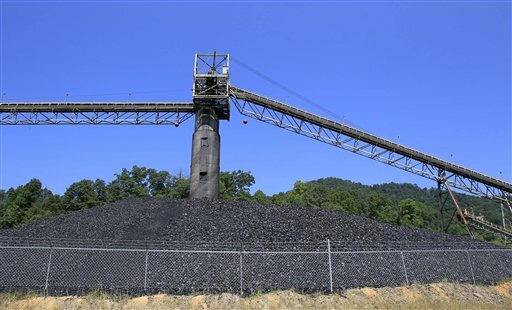 Alpha, the nation’s third-largest coal operator by production and the biggest in Central Appalachia, has laid off 594 workers at Kentucky mines and related coal facilities since January 2012. It now operates 10 underground mines in the state, down from 23 underground and six surface mines in 2011. It also shut four facilities that process coal. “It’s devastating, to say the least,” Mr. Crutchfield said. He said he has had discussions with elected officials about helping to diversify the region’s economy. And that’s where the story shows a common weakness, when both national and local media are covering this issue. There is little evidence here that the Journal sought to hold local business and political leaders accountable for not following the many warnings over many years about the need to move beyond a coal-only economy. They do point out that Kentucky leaders have in recent months moved to start talking more about diversification, but the story doesn’t put those folks on the spot for waiting so long. At the same time, the story paints coal in a bit of a one-sided way, describing its long-time economic importance to the region without also mentioning black lung, mining deaths, coal-slurry pollution, or coal’s role in climate change. To really explain coal to readers requires a much broader discussion. Perhaps its unfair to expect that out of every newspaper story. Still, there’s always room for a little more context in these kinds of stories. 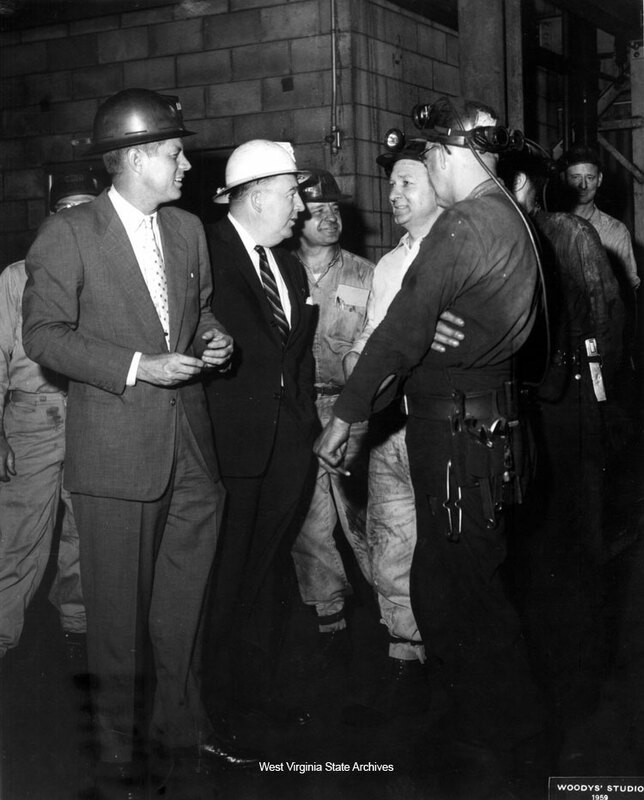 November 22, 2013 by Ken Ward Jr.
On May 9, 1959, Kennedy and U.S. Sen. Jennings Randolph (white hardhat) spoke with several miners at the U.S. Steel Cleaning Plant in McDowell County. Courtesy photo. Much of what Kennedy said as he toured the state would fit perfectly in a modern stump speech. In other words: A lot hasn’t changed. Today West Virginia politicians of both parties denounce the “war on coal” that they see coming from the federal government, and the job losses that they say come with it. Kennedy called it “as distressed an area as I’ve ever seen,” and his speech that night sounded a theme eerily familiar to today. The president of the United States dropped from the sky in 1964 to shake the hand of unemployed coal miner Tommy Fletcher and declare war on poverty. A half-century later, viewed from where it began, the war has produced a depressing stalemate. President Lyndon B. Johnson toured Martin County as he prepared to ask Congress for a $1 billion aid package for Appalachia, a place thrust into an unflattering spotlight by Harry Caudill’s book Night Comes to the Cumberlands: A Biography of a Depressed Area. … Fifty years into a massive effort to prop up these communities, they can’t stand on their own. In the near future, as an austerity-minded Congress continues to cut food stamps, Head Start and other anti-poverty measures, it’s not clear what will sustain them. The coal industry continued to shed jobs and production in Eastern Kentucky in the third quarter of 2013, tightening the screws on a region already reeling from earlier losses. 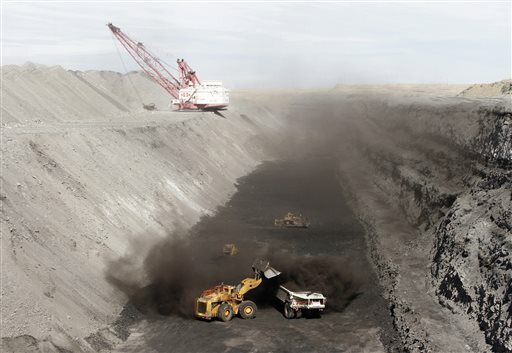 Statewide, the coal industry reduced employment at mines and preparation sites by 439 workers, or 3.4 percent, during the period from July 1 to Sept. 30, according to a report released Monday by the state Energy and Environment Cabinet. There are fewer coal jobs in Kentucky than at any time since the state started keeping track in 1927, but nearly all the losses have been in Eastern Kentucky, where the job losses have the feel of a crisis. November 18, 2013 by Ken Ward Jr. The U.N.’s chief climate diplomat on Monday urged the coal industry to diversify toward cleaner energy sources and leave most of the world’s remaining coal reserves in the ground. On the sidelines of a U.N. climate conference, Christiana Figueres told dozens of CEOs of coal companies meeting at Poland’s Economy Ministry that their industry needs to change radically to curb emissions of heat-trapping gases that scientists say are warming the planet. “The world is rising to meet the climate challenge as risks of inaction mount, and it is in your best interest to make coal part of the solution,” Figueres said. The U.N. climate chief urged a radical clean-up of the coal industry on Monday to help limit global warming, at an industry meeting in Warsaw condemned by environmentalists as a distraction from the nearby U.N. climate change conference. 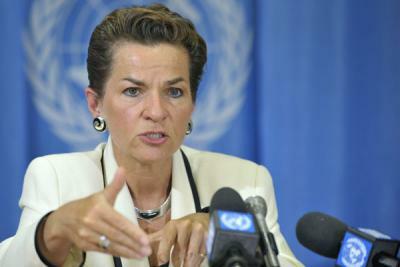 Christiana Figueres, head of the U.N.’s Climate Change Secretariat, told the coal summit that the industry had to change “rapidly and dramatically” to limit high pollution and carbon emissions, including in heavily coal-dependent Poland. She urged the industry to “leave most existing reserves in the ground”, to shut inefficient plants and to capture and bury all emissions of carbon dioxide from coal-fired plants, a technology that has proved too costly so far for wide use. November 15, 2013 by Ken Ward Jr. 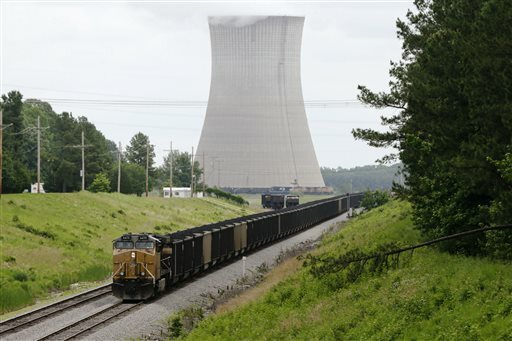 The Tennessee Valley Authority board of directors took action Thursday to further diversify TVA’s power generating mix to keep pace with changing economic and regulatory conditions, and in keeping with TVA’s commitment to keep electric rates low and reliability high … The board approved a coal fleet plan that will retire eight coal units at three plant sites with more than 3,000 megawatts of combined generating capacity. A number of these units were already idled or scheduled for idling and/or retirement based on an agreement with the Environmental Protection Agency. There’s plenty of coverage out there on this, including stories from the Chattanoogan, The Associated Press (via The Washington Post), and the Courier-Journal. It’s also worth looking at this presentation for more on the analysis that led to the TVA decisions. Senator Mitch McConnell is touting his role in a recent decision to keep burning coal at a Western Kentucky power plant, even though less coal will be burned—and the decision to keep burning the remainder was made months ago. 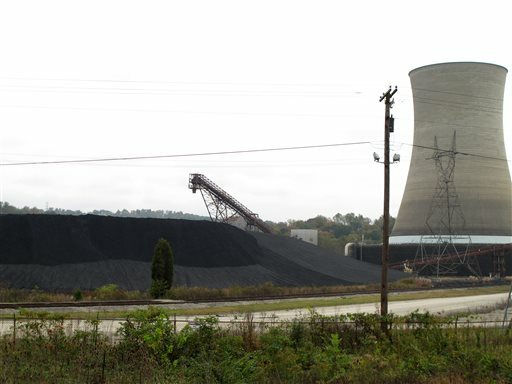 The Tennessee Valley Authority Board of Directors voted Thursday to convert two of the three coal-burning units at its Paradise Fossil Plant in Muhlenberg County to natural gas. The third unit will remain coal-fired. But the latter decision was already made, and it was public months ago (it’s in this document from August and I mentioned last month). “Let’s just say unit 3 [the coal burning unit] was never in danger of closing,” says a TVA spokesman. With government officials from 22 countries and the European Union gathered in Washington, D.C., to discuss carbon capture and storage, the Obama administration on Nov. 7 announced a new $84 million research initiative aimed at improving the climate change mitigation technology and driving down associated costs. “Today’s meeting is a reaffirmation of the global community’s commitment to work together to advance CCS,” Energy Secretary Ernest Moniz said during his introductory address to the Carbon Sequestration Leadership Forum, a 10-year-old international initiative that includes countries that cumulatively are home to 60% of the world’s population. Moniz suggested that the world economy’s continued reliance on fossil fuels for energy makes advancing commercial CCS critical to combating climate change. International cooperation and curbing the greenhouse gas emissions that are warming the globe are central to President Barack Obama’s climate action plan, he added. “We have to work to create tangible and concrete steps to help bring this technology to market more quickly and affordably,” Moniz said, outlining the task at hand for environmental ministers. They arrived on the fourth and final day of the forum to sign off on a ministerial communiqué that policy experts and industry stakeholders have been considering since Nov. 4. To date, the Obama Administration has invested $6 billion in clean coal technologies to ensure the U.S. continues to have access to safe, sustainable and affordable energy from our abundant domestic fossil resources. Developing, demonstrating and deploying these technologies is a critical part of President Obama’s all-of-the-above approach to American energy. With nearly $84 million in investments from the Energy Department – and additional cost-share from industry, universities, and other research institutions – the projects will support the development of advanced technologies that will help enable efficient, cost-effective application of carbon capture and storage (CCS) processes for new and existing coal-fired power plants. Projects will conduct carbon capture research for two different fossil power generation processes. For traditional, combustion-based power plants – like most coal-fired plants today – research will focus on more efficiently capturing carbon emissions post combustion. More advanced, gasification-based electric power plants break down coal – or almost any carbon-based feedstock – into its chemical constituents before any combustion takes place. Research into this technology will improve the efficiency and cost-effectiveness of pre-combustion carbon capture. A full list and brief descriptions of the awards can be found HERE. By allowing EPA to move forward with common sense rules to protect public health and the climate, companies will have the certainty they need to make pollution control investments, strategically plan for new business opportunities in cleaner energy technologies, and develop new employment opportunities for displaced workers. … The EPA’s proposed rule will speed the development and deployment of CCS. With a clear and certain technology-based pollution-reduction target, equipment vendors would have an incentive to develop new carbon capture systems, and improve existing ones to lower costs and enhance performance. Utilities could seek federal grants or loan guarantees from existing programs to defray part of the CCS costs. Investors would be more inclined to finance the initial generation of CCS plants to gain a “first mover” advantage, knowing that a market would exist for more plants as the industry scales up. Utilities are nervous that public service commissions that oversee their electricity rates will not allow them to recover the costs from the increased expense of building power plants with CCS technology. An EPA carbon-pollution standard would enable utilities to make a much stronger case for cost recovery because CCS would be a requirement for any future power plant burning coal. By far the most important coal story this week was the Center for Public Integrity series that examined many of the ways the process of applying for federal black lung benefits is stacked against disabled coal miners. There’s more background about black lung on our website, and the remarkable stories from Chris Hamby reminded me of previous work on black lung done by other great journalists — especially two different projects produced by the Courier-Journal in Louisville. You can read those here and here. Reading those stories, it’s maddening to think about how — despite so many reforms and hard work by so many — little as changed on this issue. … For all the rage over Obama’s environmental agenda, mining jobs began disappearing in the region long before he entered the White House, for reasons that have nothing to do with regulations now coming out of Washington. According to employment counts from the Mine Safety and Health Administration, from 1983—the earliest year for which MSHA had data—to 1989, combined coal jobs in West Virginia and Kentucky fell from 79,000 to 64,000. In the following four years under the first President Bush, coal jobs in the two states fell to 56,000. And by the final year of the Clinton administration, the states’ combined total of mining jobs had fallen to a nadir of 33,000. By comparison, West Virginia and Kentucky coal-mining payrolls have been relatively stable during Obama’s first four years in office: In 2009, there were just under 43,000 coal miners in the two states combined. In 2012, the latest year for which MSHA has final data, the count totaled just over 41,000. As a retired coal miner, the son of a coal miner, and the father of a coal miner, I’m curious about Congress’ recent attacks on the EPA and claims of a “war on coal.” These claims are nothing but a distraction from the real needs of coalfield communities. You see, the coal industry has been leaving Appalachia and Eastern Kentucky for decades. In 1980 there were more than 34,000 coal miners working in Eastern Kentucky. By 1990, that number was down to 25,000 despite a production peak. Fewer than 8,000 jobs remain today — the lowest since 1927 — and continue to fall. For years, industry analysts, coal company executives, and energy agencies warned that our best and easiest coal has been mined, that transportation costs have been rising, that cleaner and cheaper alternatives to coal were on the rise. It has been clear that we needed to be building a new economy here in the coalfields for generations, yet our political leaders have done little or nothing to help us prepare for the inevitable transition. October 25, 2013 by Ken Ward Jr.
A year and a half ago, the U.S. coal industry—faced with a steady decline in domestic coal consumption—seemed to have found a lifeboat. The industry planned to export vast amounts of western coal from the Powder River Basin of Wyoming and Montana, shipping the coal by rail to new export terminals planned on the West Coast in Washington and Oregon and then overseas to Asia. But in recent months, the lifeboat has begun to look a lot less seaworthy. China, the prime driver of world coal demand, is taking a number of steps to reduce coal imports, including producing and using domestic coal more efficiently, banning new coal-fired plants in areas with heavy air pollution, and boosting the use of natural gas, nuclear energy, and renewables. These efforts helped pop a bubble in coal prices that occurred from 2011 to 2012, with the Newcastle benchmark spot price down about 40 percent from its level in early 2011. At the same time, a wave of stateside opposition to the construction of U.S. coal export terminals and the related increase in train traffic has been building in the Pacific Northwest and across the West into Montana. It is a movement reminiscent of the broad opposition to the proposed Keystone XL pipeline that would transport crude oil gleaned from tar sands from Canada to the Gulf Coast, built around a combination of issues involving local traffic and health concerns and global climate change effects. Poland relies almost exclusively on coal to generate its power, but a new study has found diversifying the country’s energy mix might not actually be that hard. The study, released Friday by several European energy and environmental groups, including Greenpeace, found Poland could cut its coal electricity generation in half, from 120 terawatt hours a year to 60 by 2030. The shift would require a clean energy investment of $264 billion — about double what Poland currently spends on energy production, but an investment that would lead to cheaper energy in the long run, according to the report. It could also create 100,000 jobs in the renewable energy sector by 2030. 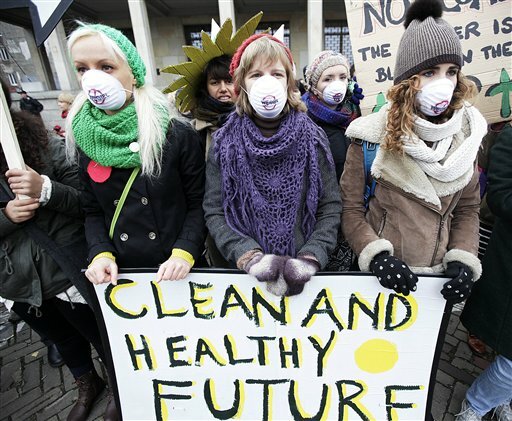 “Poland is home to a geriatric energy system, based on coal. 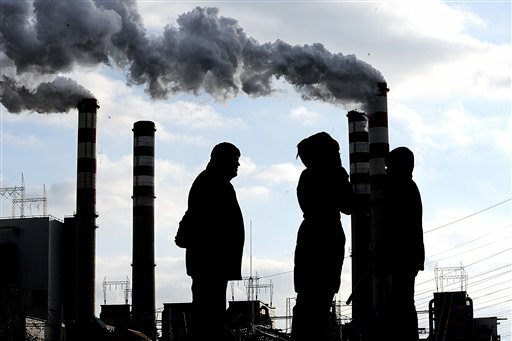 Its power plants are old with about 70 percent of them being over 30 years old,” the report said. 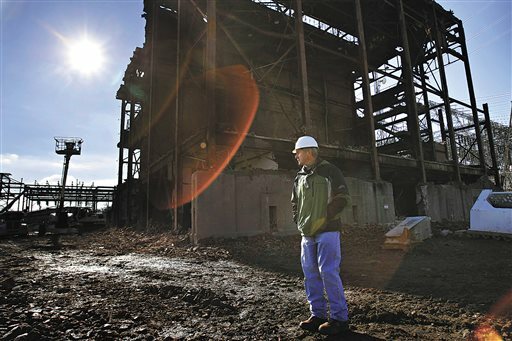 October 18, 2013 by Ken Ward Jr.
Eastern Kentucky needs a strategic plan to diversify its job base and money to make the plan a reality as its coal industry withers, according to a regional economic development organization. In a paper released Monday, the Mountain Association for Community Economic Development called on legislators to set up a body that could create a plan to boost Eastern Kentucky’s economy and oversee its implementation. 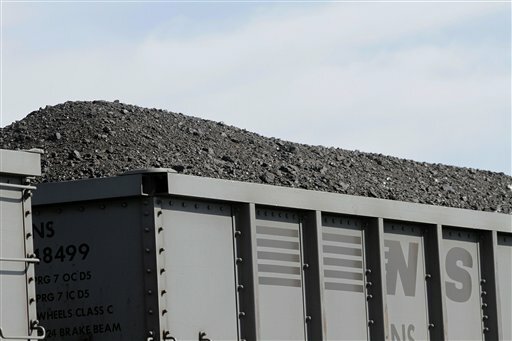 Eastern Kentucky has lost more than 5,700 coal jobs in the last two years, creating a critical need for better planning to develop the region’s economy, the report said. “Literally ever single person we’ve talked to said we’ve got to do something else,” said Justin Maxson, president of MACED, which is based in Berea and funds projects in Eastern Kentucky. One option to fund a new strategic plan for the area would be to set aside 25 percent of the money the state collects from a tax on mined coal, the report said. Some of that money could be used right away to put the plan in place, and some could be set aside in a permanent endowment that could grow and be used for economic development going forward, the report said. 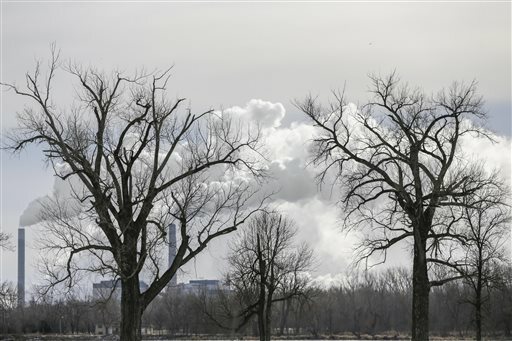 Several other coal-producing states have a similar endowment. 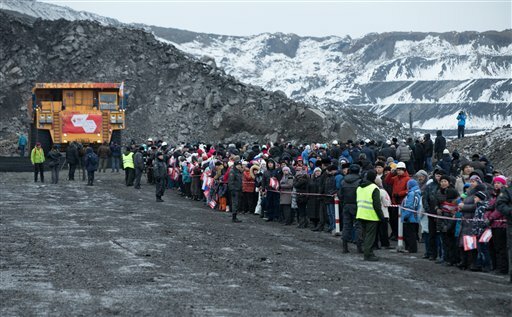 Under that approach, a good bit of the coal-severance money would still be available immediately for other state and local needs, the report said. That will be an important point as legislators, policy makers and local officials consider the idea to create what MACED called the Appalachian Planning and Development Fund. MACED has a press release here, and you can read the full report for yourself here.